This overview demonstrates how marketers can easily review and collate stakeholder feedback using admation’s Collating Feedback Feature. This feature enables you to streamline the approval workflow process by ensuring that all stakeholder feedback is received and includes relevant changes. 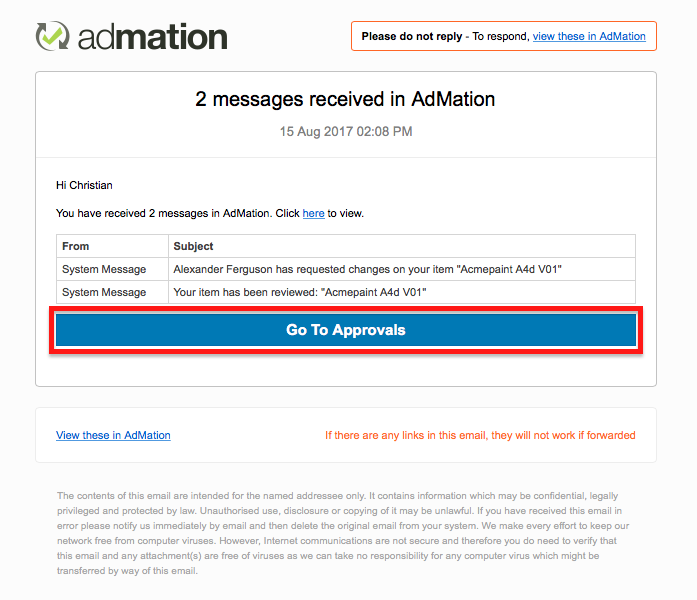 You will receive an admation email whenever a stakeholder responds with a Change Request and/or when all stakeholders have responded to your approval request. Click on Go To Approval to be directed to Feedback Details page. 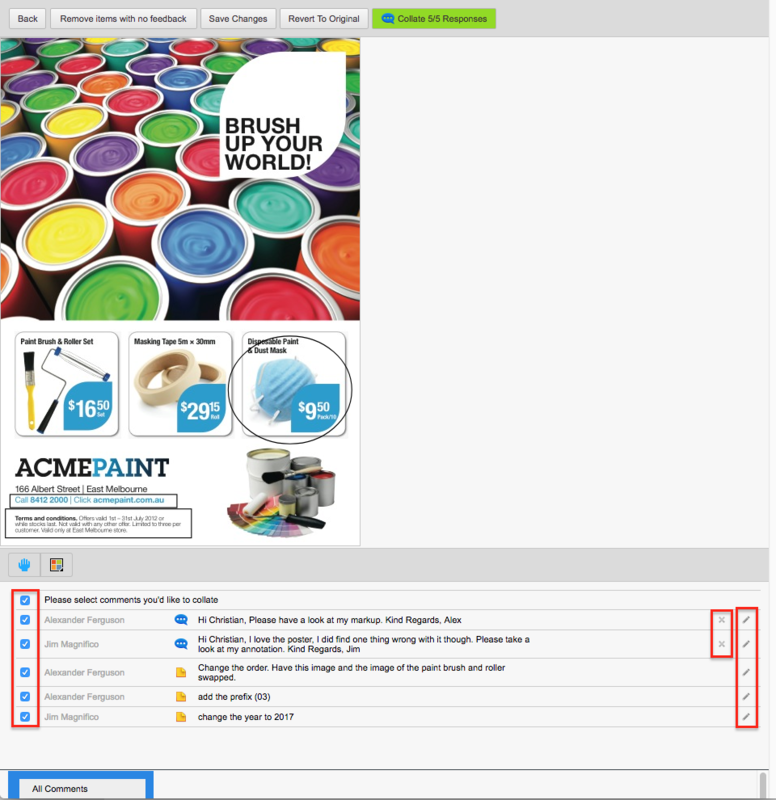 You can review and collate feedback from Approval Details or Full Screen Approval view. For this overview, we perform this task from the Approval Details. 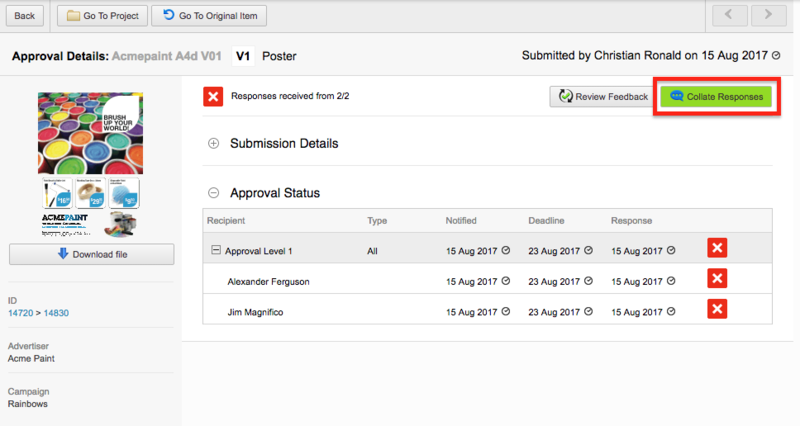 When artwork changes are required, a red cross appears next to the stakeholder’s name. In the example below, you can see that two people have requested changes. To review and collate the feedback, click Collate Responses. Here you can select and edit comments and annotations. 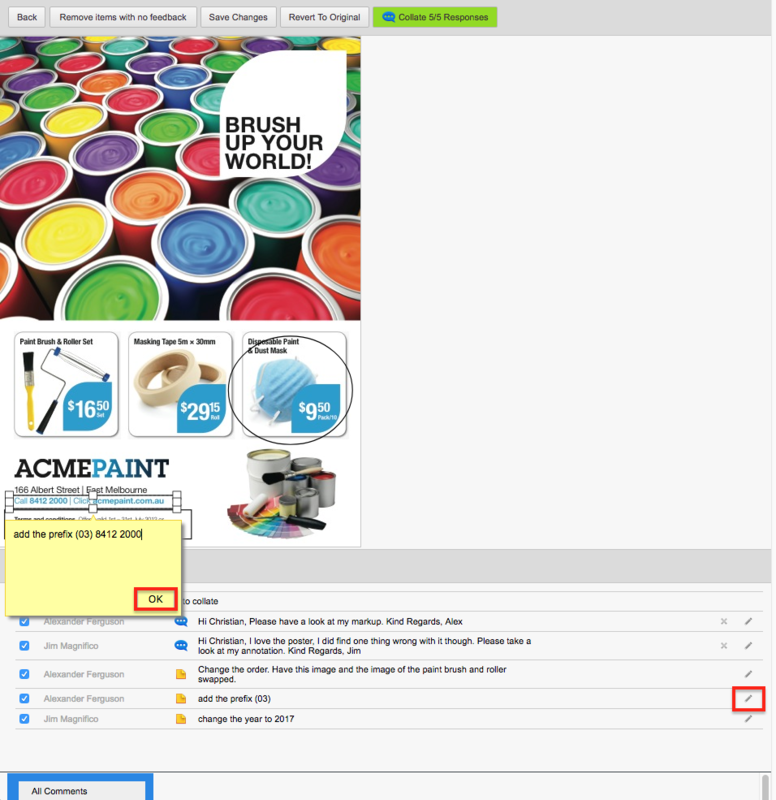 To omit specific feedback from being collated De-select the checkbox which corresponds to that annotation or comment. If, for example, the same feedback is duplicated, comments can be deleted entirely by selecting the Cross icon. You can modify feedback by clicking on the Pen icon. NOTE: You are not changing the stored feedback but simply editing a copy of them. Modify and click OK to save any changes. Alternatively, you can click on the annotation itself to edit it. Always remember to click OK to save your changes. Once you have decided on the feedback you wish to collate, click Collate Responses. A message box will appear. 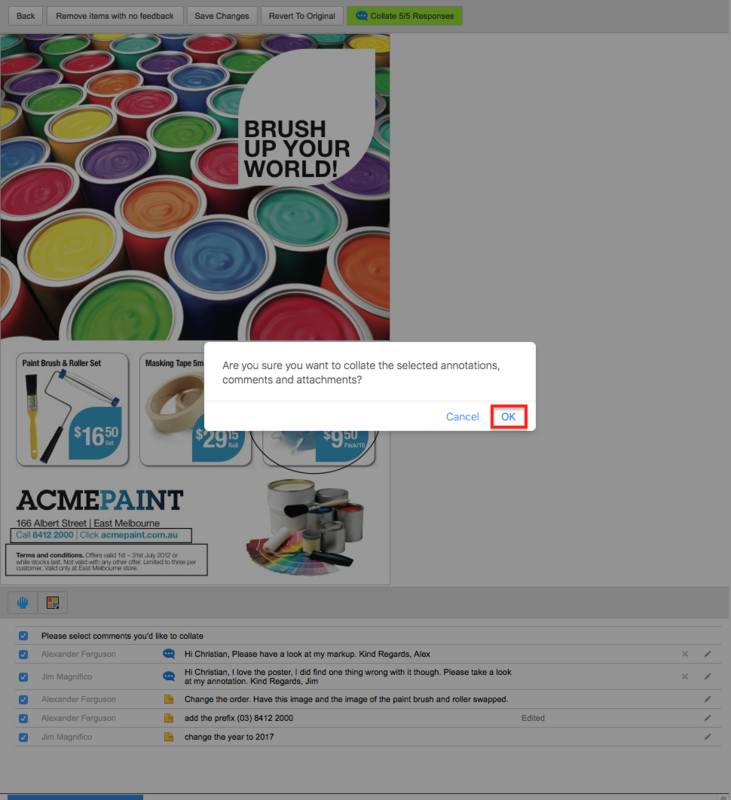 Click OK to collate the feedback/comments. The feedback from stakeholders has now been collated to form part of your own feedback.